Celebrate the Lunar New Year with FlyOver Canada! 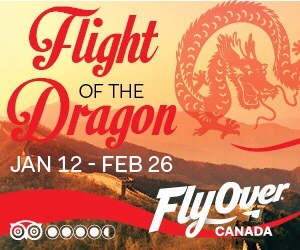 For a limited time, FlyOver Canada presents Flight of the Dragon, a flight ride experience that takes you over the breathtaking Chinese countryside and renowned landmarks. 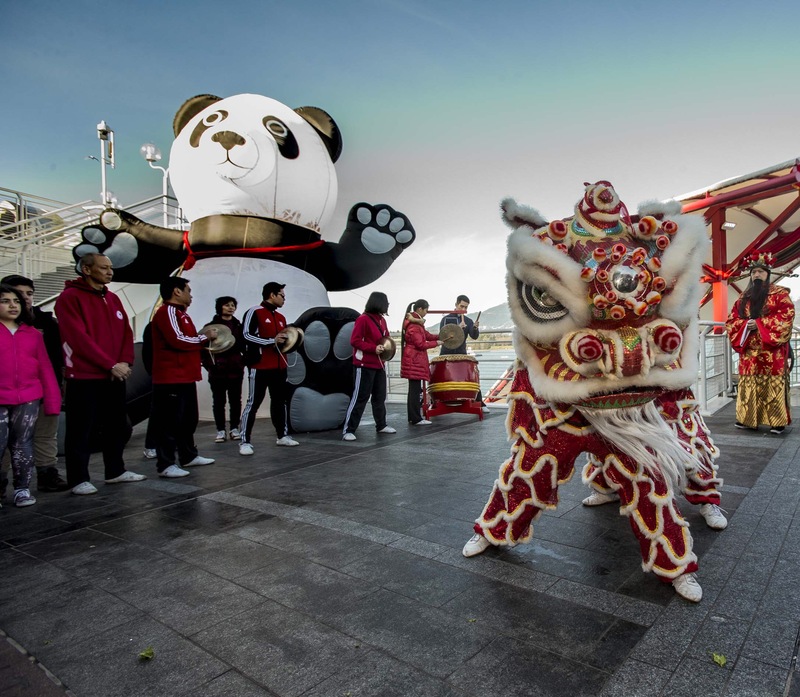 FlyOver Canada invites all guests to come and enjoy both FlyOver Canada and Flight of the Dragon; two virtual flight rides for the regular admission price! Save time onsite, buy tickets online now. Start your experience off in our pre-show room, where you will see beautiful festive decorations and still images of Chinese New Year celebrations. Then, buckle up your seat-belt and get prepared for our virtual flight ride double feature! First, follow a mythical dragon as you soar over some of China’s most spectacular landscapes and scenery during Flight of the Dragon. Then, remain seated and take off once again shortly after to experience the Ultimate Flying Ride, FlyOver Canada, a thrilling virtual flight ride that takes you across Canada from east-to-west. Both rides incorporate state of the art special effects including wind, scents, mist in addition to the movement of your seat to make you feel like you are truly flying. Entrance times are every 20 minutes. Please note that the queuing area is partially exposed to the elements. They suggest that guests dress accordingly for the weather, particularly on weekends when there may be wait times. To avoid entrance lineups, FlyOver Canada strongly suggests purchasing FastLane Admission tickets on weekends . Purchase your FastLane tickets now. What’s for dinner? 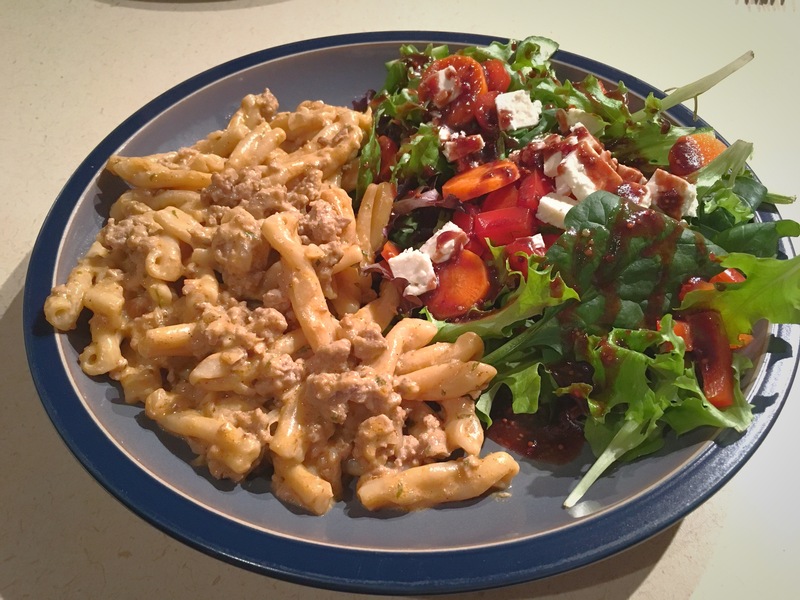 One Pot Pasta and Ground Chicken. Stuck for a dinner idea that the kids will eat and you’ll be able to whip up in about a half an hour? This one-pot noodle and ground chicken dish will be devoured by all and definitely added to the weekly rotation! Preheat a 10″ skillet with a tight fitting lid over medium heat. Add in your ground meat and diced onion, brown. Add in all the spices and tomato paste if using. *I totally forgot to add the cheese and Worcestershire, but it still tasted awesome!